Beginning with the ill-born logic that traveling by air would do the trick. To some other state to talk to someone she didn’t know. Except a few oft repeated foolish family fears. As far as Sharon Nicholas was concerned, the request to be left alone was unlearned. She continued her mid-day walk alone, pausing to trace names etched in stone. The taps of the cane against the concreted knocked as she heard dogs barking down the block. Several leaves went to and fro, forcing Sharon towards the gazebo. Laughing aloud at the change of pace, she adjusted the sunglasses on her face. A lanky fellow made her jump, when quite by accident into her bumped. Wondering what else slipped by her as she leaned on the rail. The final resting place after the bells doth toll. His name was Ramon and he had kin. Visiting them properly, he hadn’t been. She noted an accent ever so slight and noticed he was just above average height. He talked about the power of the air. She smiled and nodded as she pulled leaves from her hair. He flew his own craft and explained the knack of trusting the wind having his back. Like a leaf on the wind, that’s how he’d soar. Sharon listened entranced, waiting for more. Ramon told her he wished the beauty of the skies could be adequately described or seen with one’s own eyes. When the winds died down, they talked a while, could have been they walked a mile. With each step taken, he was so kind, and of the various topics shared, they were of like mind. How families loved interfering, yet still at times could be endearing. How often times they’d want what’s best, even if that meant traveling east from west. Returning to the beginning, Ramon made his plea, when they reached the curbside so she could hail a taxi. ‘Remember what I said about flying, I mean the knack. Up in the skies imagine I’ve got your back. Without further delay, Sharon Nicholas made her way to the airport for her first fretful flight. Yet all day long, she knew she wasn’t alone, replaying the earlier chat she had with Ramon. Glancing out the window just before twilight, she sensed something wasn’t right. Just above the water, a small aircraft was about to crash—hopefully, maybe, possibly ending with a splash. But no one else on the flight believed the woman with limited sight. She left the plane in a great deal of pain. Not knowing if what she saw was what she saw at all. With heavy heart, Sharon did her part, so off to the specialist to see what her optical fate would be. The doctor said the odds couldn’t be better if they tried, but matching corneas came from one who recently died. Sharon Nicholas thought of Ramon as she debated whether to reach for the phone. Pacing the equivalent of a block, she was startled by a tentative knock. What it was the officer said filled Sharon’s heart with sadness and dread. 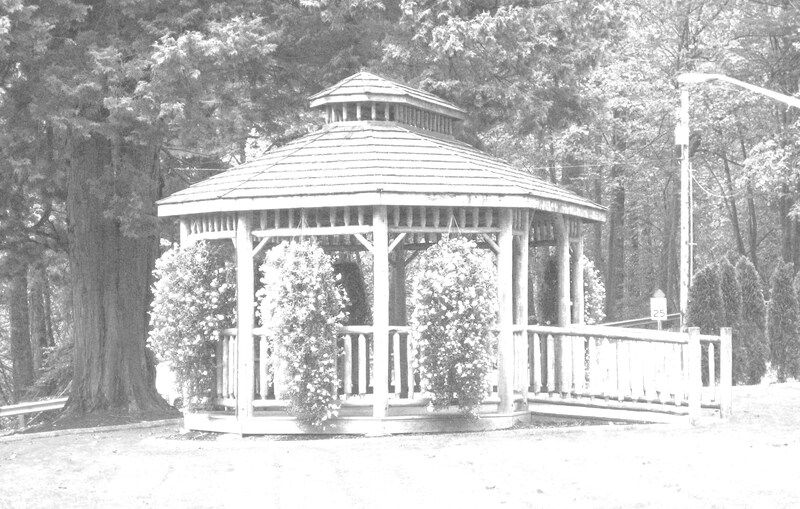 For in the pocket of the pilot, Ramon, was a snapshot of Sharon taken at the gazebo. The officer said the back of the photo read the exact location of the woman on vacation. I suppose you think what’s been told is just a lark—the way they met that day in the park. Between Sharon’s future and Ramon’s past, a bond was made to ever last. For the hands of Fate arranged it, you see, their meeting was meant to be. Even though they lived their lives on opposite coasts, they connected when it mattered most. Between what he had and what she needed, that was one of the reasons Ramon earnestly pleaded. Look towards the gazebo by the moon’s glow. There you might see Sharon and Ramon. by T. Tommia Wright Published with Permission. From literary journal FALL INTO STORY. This entry was posted in Poetry, Story Genres and tagged flight, gazebo, poetry, sight by freevalleypublishing. Bookmark the permalink. Always been one of my favorites Takako. Great start here Sheri, fantastic picture, and congratulations!